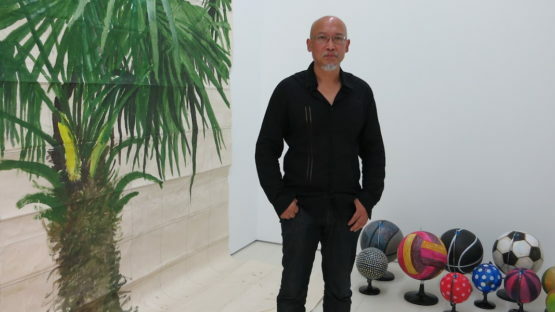 Zhang Enli is a renowned Chinese artist from Shanghai that despite starting his career in the 1990s and belonging to the post-socialist generation doesn’t share their usual aesthetic preoccupations in arts. Instead, he follows his own unique perspective on painting, art, humans, nature and objects – revealing overlooked, everyday details. He uses watercolors, oil, and canvas but his techniques are very similar to traditional Chinese ink painting, with expressive and vivid brushstrokes. In that sense, he continues a specific connection to Buddhist philosophy, transformed and given in a highly stylized contemporary form. Zhang Enli is born in 1965 in Jilin Province in China. He graduated in 1989 from the the Arts & Design Institute of Wuxi Technical University, Shanghai. From the beginnings, he distinguished himself from the usual movements in China, such as Cynical Realism, Kitsch Art or Political Pop, and painted portraits of Shanghai people in an Expressionist manner with the use of dark, discordant and dense colors. A part of his artistic practice in the 1990s was to paint himself in the portraits of others, claiming that isn’t quite possible to distinguish the knowledge of yourself from the knowledge of others. In the later phase, this Shanghai based artist started painting numerous objects, usually a one or two enlarged objects on a canvas such as images of cardboard boxes, tin chests, ashtrays. In them, he infiltrated a general idea about a work of art as a container and started identifying everything he paints with a container. Further on in his career, Zhang Enli made a big turn and started painting in a lighter and more airy manner. 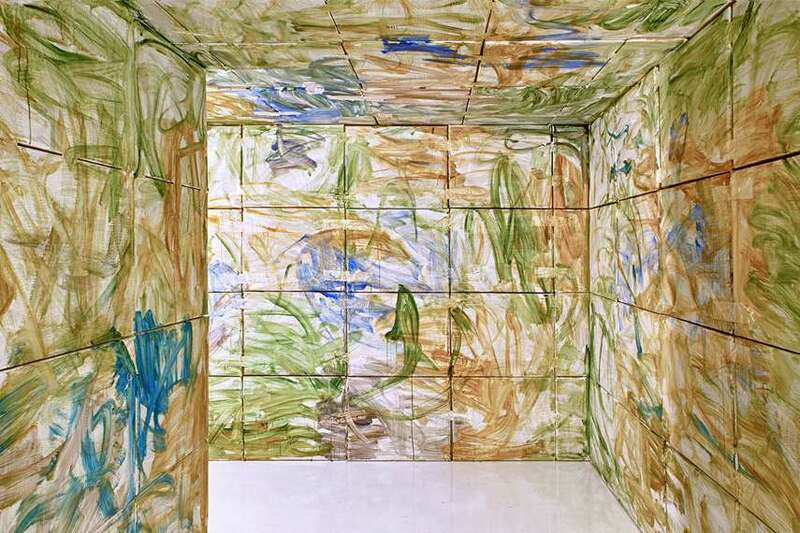 He focused more on abstract paintings and the idea of a container got a much more concrete form – monumental site-specific installation that he calls Space paintings. Since 2010 he has been working on this kind of projects highlighting the importance of personal relationship with the given space in which he works; he tries to get exposed to it as much as possible and to receive stimulants from it. Zhang Enli makes spaces that looked neglected and lost in time, sentient again. 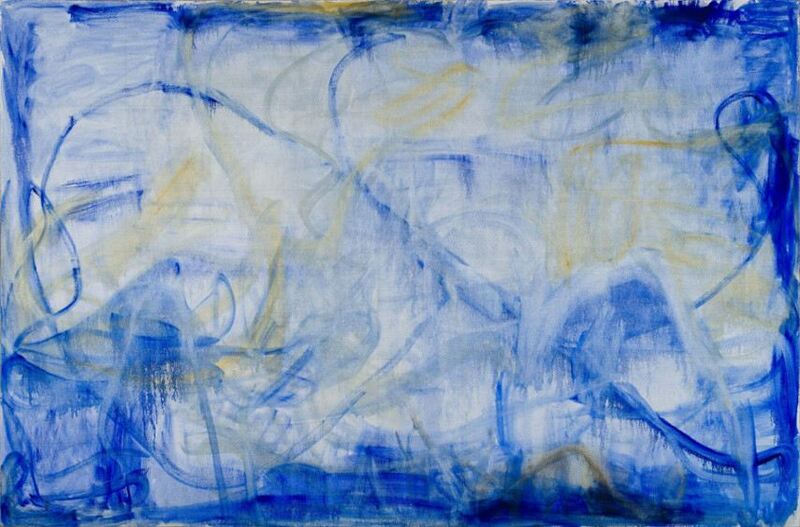 An ephemeral character is created by semi-transparent brushstrokes, thin washes of pigment and traces of turpentine dropping which altogether makes a pulsating image. His specific mark is that the watercolors are rendered in oil, which all creates a chaotic and expressive but gentle impression. Some of the most famous paintings of this Chinese artist depict trees in a unique manner focusing on branches and the sky. One of them being a space painting of a celling view of the Villa Croce Museum of Contemporary Art in Genova called Landscape. International recognition came in 2006 after the Art Basel exhibition of contemporary Chinese artists. Most famous of his solo exhibitions that earned him even bigger fame is the Zhang Enli show at the Ikon Gallery in Birmingham and the Zhang Enli exhibition Kunsthalle Bern, Switzerland, both in 2009. In 2010 he had a major exhibition at Hauser & Wirth Gallery in London and they represented him alongside the ShanghArt Gallery since. Zhang Enli’s paintings have been displayed for view in various important museum exhibitions in Shanghai and elsewhere. 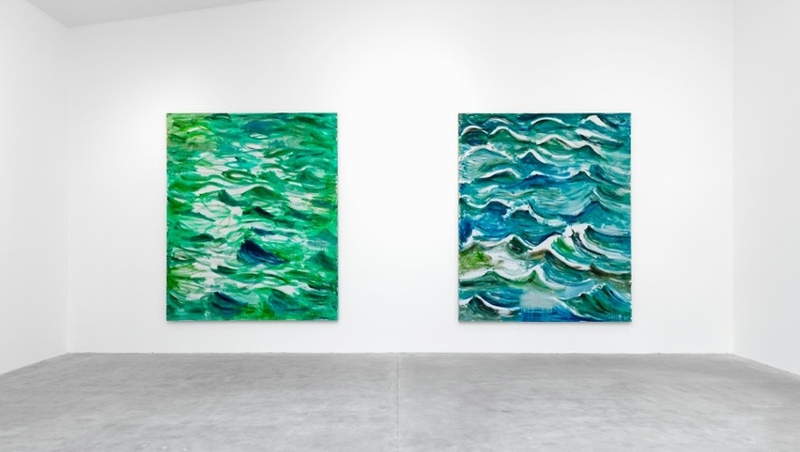 Among his most notable solo shows at Hauser & Wirth Zürich in 2012, then at the Shanghai Art Museum in 2011 and at Hauser & Wirth New York, New York as well in 2011. At the moment, he lectures at the Arts and Design Institute of Donghua University, Shanghai. Zhang Enli lives and works in Shanghai, China.